'Romantic and utterly heartwarming' Jenny Colgan on How To Find Love in a BookshopIn the charming town of Peasebrook, there's a place for everyone. War vet Joe has made new friends and a new home for himself here, overlooking a beautiful apple orchard. But when tragedy strikes and Joe is left out in the cold, it will bring them all together in entirely unexpected ways . . . 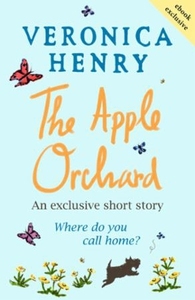 The Apple Orchard is a truly feel-good short story about friendship and kindness. It's the perfect introduction to Veronica Henry and includes an extract of her upcoming novel The Forever House.